Here's a tape we got at Lab Coast's LP release show a few weeks ago, and then forgot about because we've only been listening to the new Lab Coast LP and the Sleepkit tape for the past two weeks. Crack Cloud opened the evening at the Palomino, with a gutsy three-guitar, bass and drums set up (okay, one of the guitarists also switches off with sax, but still). Oh, and three keyboards to help fill in some subtle blips and bloops. They're probably the closest thing to Gang of Four that we've heard in town for a while, with the bass and drums serving as a just-danceable-enough backdrop for speak-y vocals and jagged guitars. 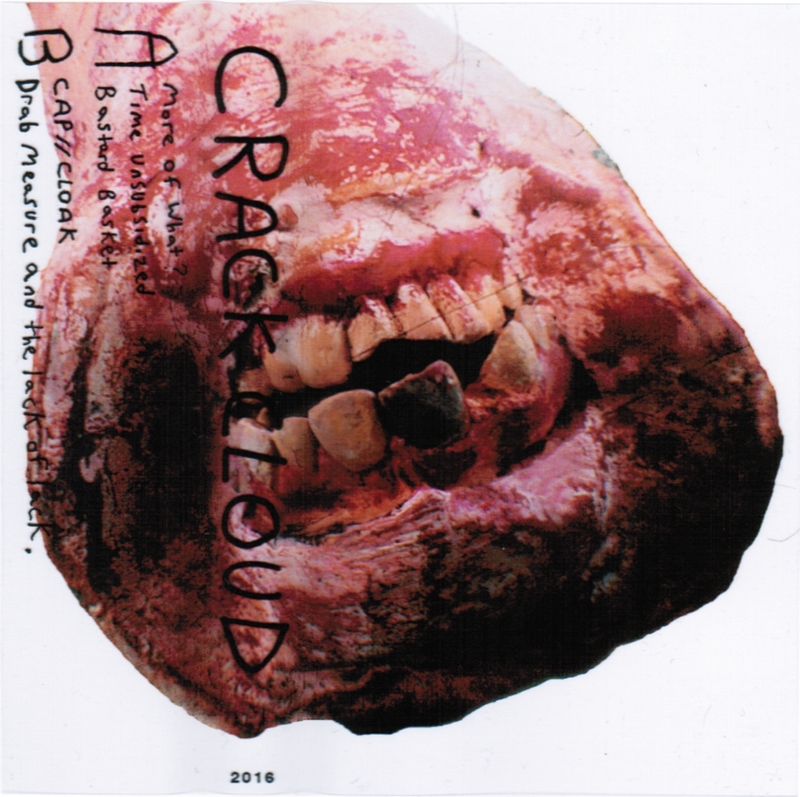 Looks like the physical tape is sold out, but you can grab the download from the Crack Cloud bandcamp.